When we blogged last week about thermoplastic polyolefin (TPO) membrane roofs, we brought several advantages to the table. In our experience, metal and single ply roofing are the most popular roofing types we install and maintain. Education is key and it never hurts to share other types of roofs with current clients and prospects. 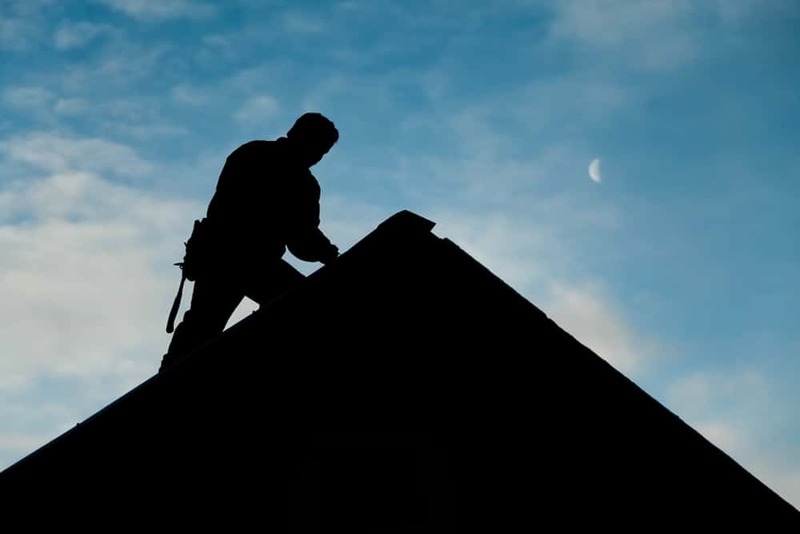 Skyline Roofing does want to bring options to the public so you're informed if and when a repair or full roofing project comes to light. We are going to be discussing bitumen roofs in today's blog. What is a bitumen roof? Bitumen roofs, also known as modified bitumen roofs, are made up of asphalt material. They brings adaptability and flexibility to any roof in that it can be applied in hot or cold environments. The types of installation are that of self-adhesive sheets, hot-mopped asphalt or cold-applied adhesives. The thickness of bitumen roofing material can be beneficial. If you decide on 2-ply or 3-ply, you're essentially receiving a stronger quality up front that will last through normal wear and tear such as weather and life. Speaking of wear and tear, a properly-installed bitumen roof will give you a lifespan of at least 20 years. Strength comes into play with any roof. Bitumen material is high-tensile and "unlikely to develop the kinds of cracks that other flat and membrane roofs are known for. They are also rated against wind, fire, and hail so they are unlikely to be damaged in the event of a storm." — Source: Pioneer Rooftop. Several weather concerns are built into this type right out of the gate! When we discussed TPO roofs, we mentioned they are considered the "new kids on the block" given their recent introduction to the market in the late 1980s. Luckily for people considering bitumen roofs, they have a proven track record to go off of. Leak prevention is built into the installation phase, which is great news for owners in wet climates. The seams of the material are often melted together allowing no water to penetrate or permeate any pathways. Skyline doesn't beat around the bush with clients, prospects, or in our blogs too. Ideally, everything has pros and cons; bitumen roofs are included, just like TPO roofs. Unlike rubber polymer thermoplastic polyolefin roofs showcasing its white color to the sky, bitumen is black. If you were paying attention in school, you'll recall that black attracts heat, while on the flip side, white reflects heat. What's interesting is that the black bitumen roofs are designed to absorb the excessive heat and UV rays. If you're the building owner in question considering a bitumen roof, make sure your building is properly insulated. Without proper insulation, the absorbed heat will bring that heat into the building, forcing your HVAC to be overworked. Bitumen roofs can deteriorate earlier than desired given certain conditions. One of those conditions is the weather. If there are uneven areas of your roof where rainwater constantly gathers, the long-lasting puddles can wear down the bitumen material, whether 1-ply, 2-ply or 3-ply. As mentioned before, the thickness can be your best friend or worst enemy. If you decide on the 1-ply material, for financial or other reasons, you may encounter a premature breakdown. Simply beware of the risks. When it comes to thickness, 1-ply can be less expensive, which is definitely an advantage. On the flip side, 2-ply and 3-ply material can prove to be very costly, which is what lands it in our downsides column. On a similar note, while not all applications call for granules to protect against the sun, some applications do. Our team considers this to be a negative because granules are very beneficial. Without them, your roof can be further damaged by heat exposure. Our team members will say this until we are blue in the face ... ask questions and do your homework. Shop around for different roofing materials and arm yourself with knowledge. Talk to your local Hartselle roofing experts to learn if bitumen roofs are the best option for your home or commercial building. If you feel bitumen is the way to go, ensure you have the budget up front to pay for the better quality (2-ply or 3-ply with granules) to save yourself the added financial burden of increased utility costs. Have questions? We are here for you. Call Skyline Roofing today at 833-SKYROOF or contact us online to schedule an inspection or discuss your next roofing project.